Facebook has been ‘taking inspiration’ from Snapchat for a while. It started with its own disappearing photo app, Slingshot, then released an app that mashes up stickers with your photos. Now the company’s taken it one step further and put most of the features from those standalone apps directly into its iOS app’s image uploader. 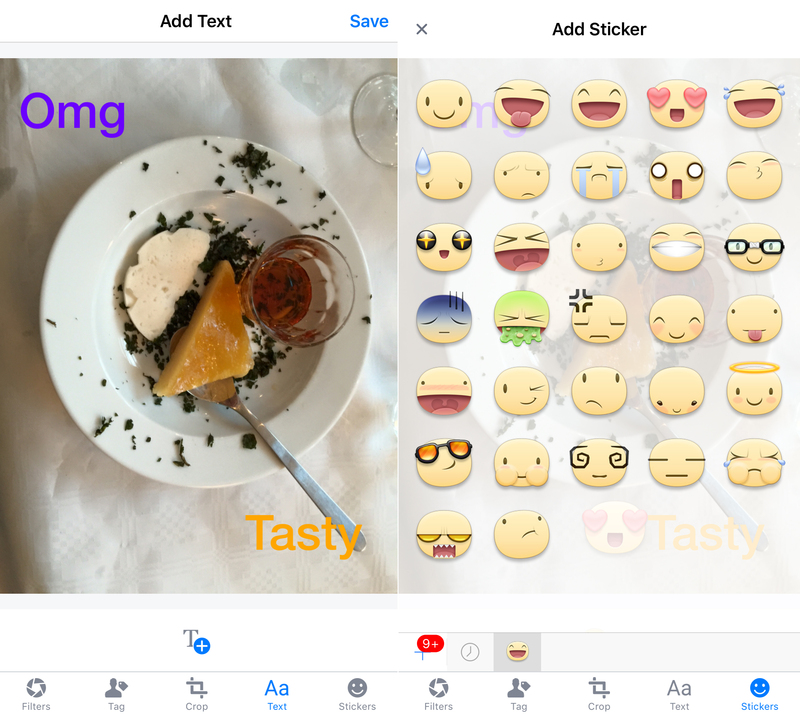 Once you’ve picked an image, you can tap the magic wand to add text effects and stickers, without the need for a separate app. The app’s photo filters are now easier to access too. You simply swipe across to swap them. The new features, which are very similar to some in Snapchat, show Facebook is still paying close attention to the ephemeral photo messaging service. The new editing tools are being rolled out slowly, so you might not see them in the app yet.